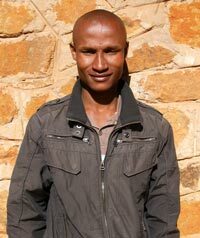 We are pleased to announce Makau Hali Khutsi has been appointed Manager of the Maliba Community Development Trust. Hali was born and raised in Butha Buthe, Lesotho. He earned his degree in Agriculture in 2009 at the Lesotho Agricultural College and taught Agriculture and Science at St. Denis High School in St. Denis, Leribe from 2009 until earlier this year. Hali has a history of community service as a volunteer teaching food production in partnership with various Village Support Groups. As an Agriculture teacher he was responsible for the design and execution of special projects in support of Hunger Alleviation. These projects involved students and local farmers groups managing for production & sale: Eggs, Vegetables, Pigs, Rabbits and Grain. When asked what goals he had for the Trust Hali replied, “I hope the Trust will help Basotho to identify their problems & know how to solve them”. We’re pleased Hali has joined the Maliba Team and will be helping the Maliba Community Development Trust to make a difference in the lives of the people in our area for long into the future. If you would like to be involved in Community Trust activities or would like more information about our programs please contact Hali at mkhutsi@yahoo.com or mobile +26658473857. 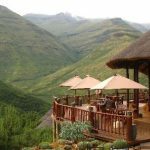 Maliba Lodge wins gold at the 2010 HICA Awards.